The members of the 1986 World Series-winning New York Mets just cannot seem to stay out of trouble. The championship team may have become famous for being the last Mets squad to celebrate a World Series victory, but it’s been mired in scandals and controversy since then that do not seem to be going away any time soon. 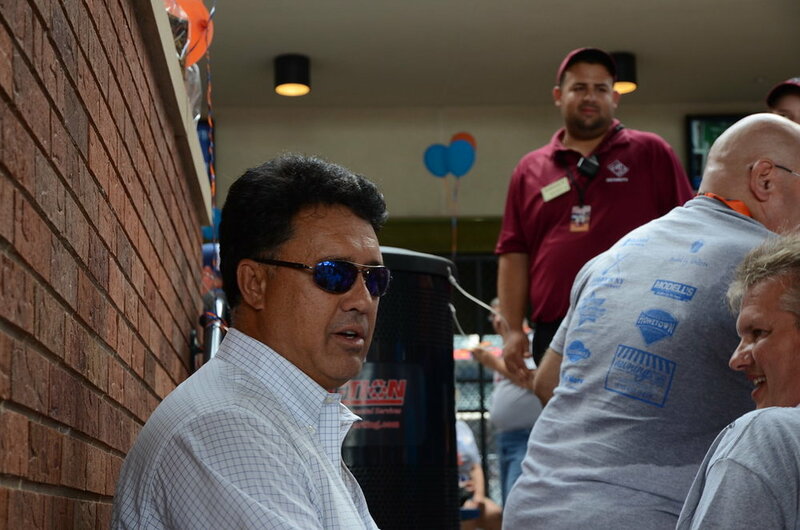 Last week, former star and current Mets broadcaster Ron Darling made headlines by releasing his tell-all autobiography. Within the book, Darling did not hold back any punches. He attacked ballplayers, coaches, announcers and more with descriptive details of alleged incidents that seem designed to shock and embarrass everyone involved. That is, everyone except Darling. An excerpt that has drawn the most attention claims fellow teammate Lenny Dykstra hurled racial slurs at Boston Red Sox pitcher Dennis Ray “Oil Can” Boyd before Game 3 of the World Series. In fact, Darling went so far as to say that the epithets were “worse than anything Jackie Robinson might have heard,” referring to the hatred that the iconic player received for being the first African American to play in the modern major league. Dykstra has since adamantly denied the claims and stated on The Michael Kay Show his intention to sue his former teammate for defamation. During his brief, profanity-laced appearance on the show, he also threatened to physically attack Darling if he ever saw him on the street. Thus far, no one has been able to verify Darling’s allegations. Dwight “Doc” Gooden, Kevin Mitchell and Darryl Strawberry — all African Americans who played alongside Dykstra and Darling on the 1986 team — have since voiced their support for Dykstra, while simultaneously condemning Darling. Each has expressed his disappointment with Darling for disclosing so much disparaging information about other people, while Dykstra and Strawberry have even gone so far as to accuse the author of outright lying to sell books. It is clear that they feel Darling broke one of the most important unwritten rules of baseball, which is that teammates don’t betray each other. This applies especially to those trying to sell books. One needs to only look at the lives of former major leaguers Jim Bouton and José Canseco to prove that. Both men wrote books that painted former teammates in a bad light and have been ostracized from the MLB ever since. Baseball takes its sacred rules very seriously and, regardless of whether or not he was telling the truth, Mets legends are now furious at Darling for breaking a crucial one. Strawberry, Gooden, Mitchell and John Gibbons have all said on the record that the Dykstra they know is not a racist. Even Boyd himself has admitted that he does not recall hearing any derogatory slurs from Dykstra, though he also believes what Darling is saying. While it remains to be seen what happens in the court of law, it seems likely that Dykstra will not fare well in the court of public opinion. The former outfielder has a long rap sheet of inappropriate and occasionally criminal behavior, involving a myriad of sexual and drug-related wrongdoings. Darling, on the other hand, has been as upstanding as his surname would suggest. It is easy for fans to instantly believe that a historically horrible man would say horrible things, just as it is easy to believe that a virtually flawless man would tell the truth. Still, past actions are not always a great indicator of the truth, and Darlin's history does not necessarily mean that his account can be taken at face value. Someone who may be able to give insight into whether or not this incident actually happened is Keith Hernandez, who was in the same vicinity as Dykstra when the alleged event took place. The former first baseman has tried to remain neutral, stating that he remembers Dykstra chirping at Boyd but could not recall what was said. If this case does go to trail, though, Hernandez will likely be called upon to testify and may be forced to choose between his former teammates. As if that isn’t intriguing enough, Hernandez also works in the SNY booth alongside Darling during Mets games. Regardless of how this spectacle shakes out, one thing is for sure: even when the Mets win, they still lose.